Local governments have been at the forefront of getting the communities they serve better broadband, increasing the availability of services and supporting competition in services to the benefit of their citizens. In particular, communities around North America have really pioneered the idea of “community led” broadband. That is, localities may not choose to build their own networks but are heavily invested in and dependent on this critical infrastructure and will do everything they can to encourage private investment in fiber—often in partnership with the city or region. 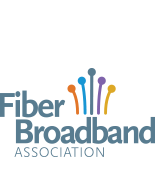 The strategies that local governments can pursue to advance private broadband deployment fall into three general categories: facilitating access to key assets such as fiber, conduit, utility poles, and real estate; making useful information available; and streamlining and publicizing essential local processes.